The climate is changing as it always has. whether we can or should do anything about it. 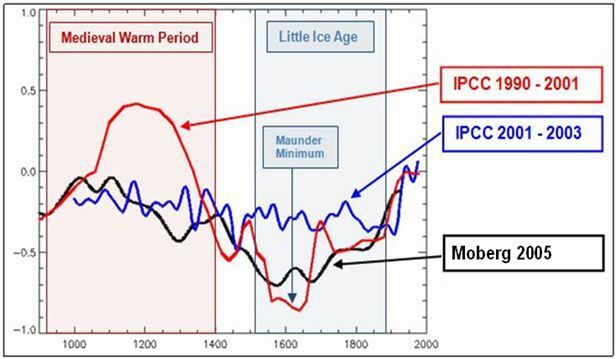 The earth has been warming since the Little Ice Age in the 18th century and has not reached the warmth of the Medieval Warm Period. Since the Little Ice Age, oceans have been rising steadily at 7 inches per century (<0.2 cm/yr.) and glaciers have been steadily receding with no recent acceleration. Water, as vapor and clouds, is the major climate influence in the atmosphere. Water vapor can hold heat but also produces clouds that reflect heat back out into space. Precipitation from cooler high altitudes also helps in cooling. More clouds, more cooling. In the narrow band where CO2 absorbs heat reflected from the earth, it has already blocked the escape of most of the heat that it can. Increases in CO2 will have little or no effect on warming. Warmer oceans hold less CO2 than cooler oceans, so warming causes off gassing. CO2 may be a trailing rather than a leading indicator of warming oceans and climate. Plants use carbon dioxide for photosynthesis and give off oxygen. Animals use oxygen and exhale carbon dioxide. We appear to be entering a quiet period of the sun. That means a weaker solar wind so that more cosmic rays reach earth. Cosmic rays nucleate clouds. That means more clouds to cool the earth. Other possible influences on climate include deviation of ocean currents, eg. Pacific Decadal Oscillation, which may be associated with more clouds, the wobbling (precession) of the earth’s axis and/or orbital eccentricity. In Conclusion: CO2 is not the cause of recent warming. None of the scary predicted consequences have materialized, and judging from history, are not likely to occur. The climate is a very complex, poorly understood chaotic system. Increased CO2 has been a boon to crops, forests and ocean plankton, and reducing CO2 would be harmful to plant life. It is probably not possible to do anything about the current warming trend.